I love nail polish, it is so fun and really you can wear your personality on your nails. It completes any outfit and makes anyone looked chic and polished. Today I got sucked into the trap that I told myself I wouldn't like well you know that phrase "don't judge a book by its cover". 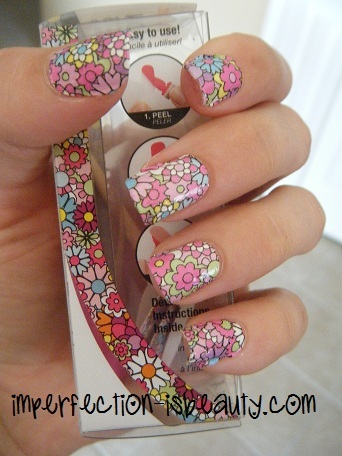 I tried a similar brand a while back and they did not stick to my nails and they were completely useless. These definitely don't cut your painting time down because it does take some time applying them but honestly they are totally worth it. They look so fun and bright for the summer. I'm really digging this Girl flower theme I got going on. Sally Hansen has a winner. edition of WhatsApp, and it worked completely.